Chestnut Hill, Mass. (10/10/2016) — Across the world, requirements for becoming a teacher have become increasingly stringent and more technology is making its way into curricula and instruction, according to an education assessment of 60 countries and regions conducted by the IEA's TIMSS & PIRLS International Study Center at Boston College. Countries reported taking steps to increase professionalism among the ranks of their teaching corps as more and more countries place improving their education systems high among national priorities. Furthermore, school systems have invested in digital devices to improve mathematics and science learning, trying to equip teachers and students with technology ranging from basic tools to sophisticated systems. The findings were published online today in the TIMSS 2015 Encyclopedia, a companion to the reports for the forthcoming results of the Trends in International Mathematics and Science Study, the fifth installment of a global assessment of mathematics and science achievement of nearly 600,000 students at the fourth and eighth grades. The results will be released internationally on November 29, 2016. Each participating country or region authored a chapter describing its educational system, and students and their parents, teachers, and principals completed questionnaires about the contexts of their learning and teaching. 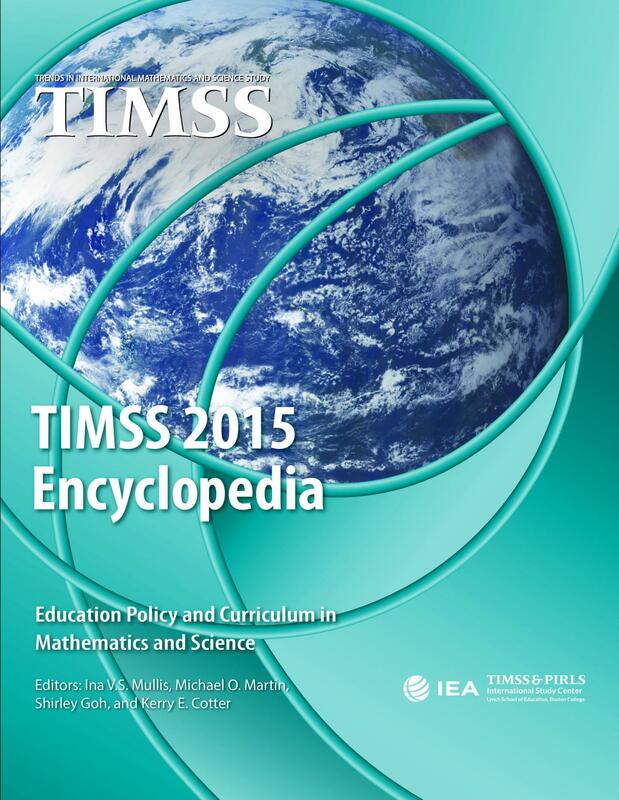 "The countries' chapters and survey data together present a concise yet rich portrait of mathematics and science curricula and instruction around the world, and make the TIMSS 2015 Encyclopedia an indispensable resource for policy and research in comparative education," said Dr. Ina V.S. Mullis, who is Executive Director along with Dr. Michael O. Martin of the TIMSS & PIRLS International Study Center. More than one-third of the participating countries reported strengthening the requirements to become a teacher of fourth or eighth grade students. Aspiring educators face tougher admission criteria to the profession, such as increased years of university study, additional certification requirements, and minimum grade-point averages from university programs. Technology policies in education are relatively new but now widespread. Most participating countries reported guidelines for integrating technology into the curriculum, ranging from calculator use to simulation or graphing software. Mathematics and science are core subjects. Countries allocated about one-fourth to one-third of the instructional time in primary and lower secondary schools to both subjects combined, with some shift from more emphasis on mathematics than science in primary schools to more emphasis on science than mathematics in lower secondary schools. Countries reported special initiatives that aim to increase student interest and participation in STEM subjects, including a "Science Picnic" in Poland that attracted more than 100,000 visitors, and the establishing of the LUMA Centre Finland to inspire and motivate youth in STEM education through the latest science and technology activities. Throughout the 20 years of TIMSS, most countries have updated their national mathematics and science curricula–especially in mathematics, and sometimes more than once–and a number of countries based their curriculum reform on the results of TIMSS 2011. Curricular guidelines that include mathematics and science are beginning to emerge in preprimary programs. Almost all TIMSS 2015 participants reported having official documents guiding the curriculum for preprimary education programs for children age 3 or older, such as kindergarten. TIMSS has been administered every four years since 1995, and the TIMSS 2015 results will encompass 20 years of education trends for countries that have participated since the inception of the study, sponsored by the International Association for the Evaluation of Educational Achievement (IEA).